Oh, look. You knew I was gonna use that one. But seriously, it’s not every day we get cool merchandise featuring Christopher Eccleston’s Ninth Doctor—and this new figure looks pretty damn good. The latest in Big Chief Studio’s line of all things Doctor Who—which has included Peter Capaldi’s incumbent Doctor, a gorgeous TARDIS, and the most depressed figure in the world—the 1/6th scale Ninth Doctor feels like the first time we’ve actually seen merchandise that covers the star that returned Doctor Who to TV in ages. So there’s probably a bit of expectation going in, and thankfully, this figure seems like it matches up pretty well. Clad in his classic leather jacket, Doctor Number Nine comes with the trusty sonic screwdriver, a change of jumper (because why not, frankly), and bunch of accessories depicting various props from his short time on the show. A banana from “The Doctor Dances”, his TARDIS key, the Psychic Paper, even a little Spider-Droid in open and closed form from “The End of the World”. But the real star is the figure itself. The likeness is uncanny, right down to Christopher Eccleston’s ears. The hint of a smile is great, too—too often do you see figures with just a blank expression on them, and it injects a great deal of personality into an already great sculpt. Want one of your own? 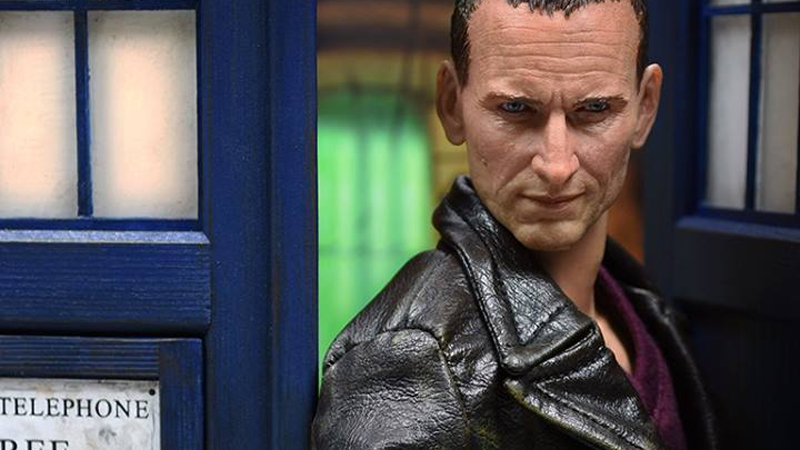 The Ninth Doctor will go up for pre-order on Big Chief’s website this Friday, at 6pm UK time (that’s 10am PT and 1pm ET, fact fans)—although no price has been confirmed, expect around £160, or $250.